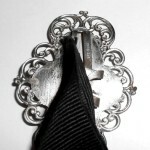 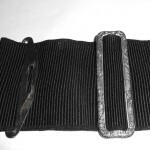 From an estate, complete, original and iIn well-preserved condition this is an antique Victorian ladies sash in excellent condition and complete with its original ornate sterling silver buckle, sterling fittings and original ribbed cloth. 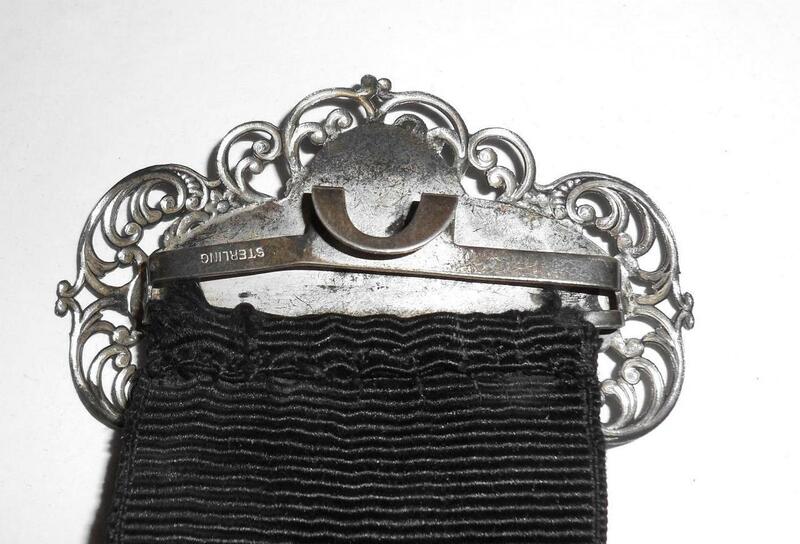 It has a fancy MS SM WS or SW monogram. 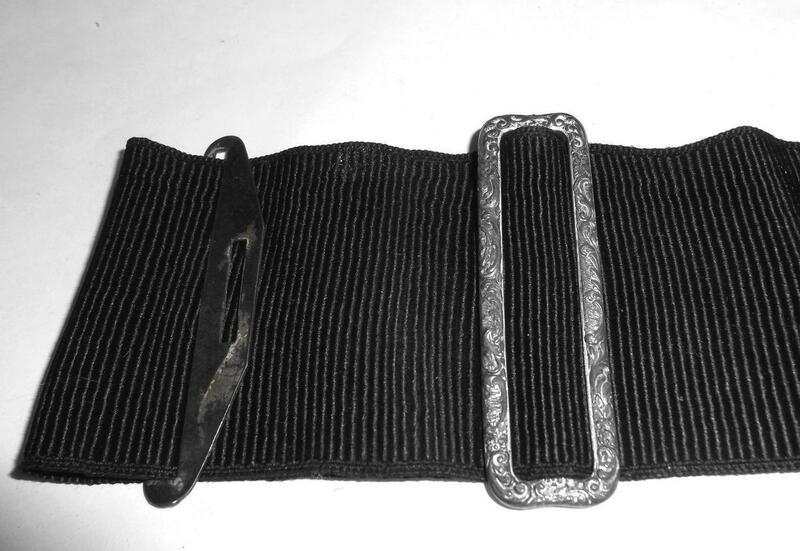 Looks like it was rarely used as the cloth is in such good shape having only a very thin 1.5″ run near the edge. 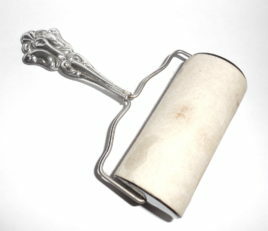 No tears, wear, tattering or discoloration. 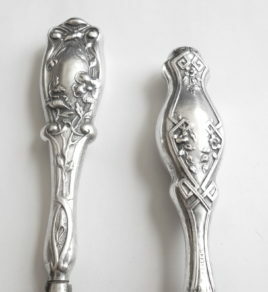 All of the sterling silver is also excellent having only light age wear scratches that can be polished out. 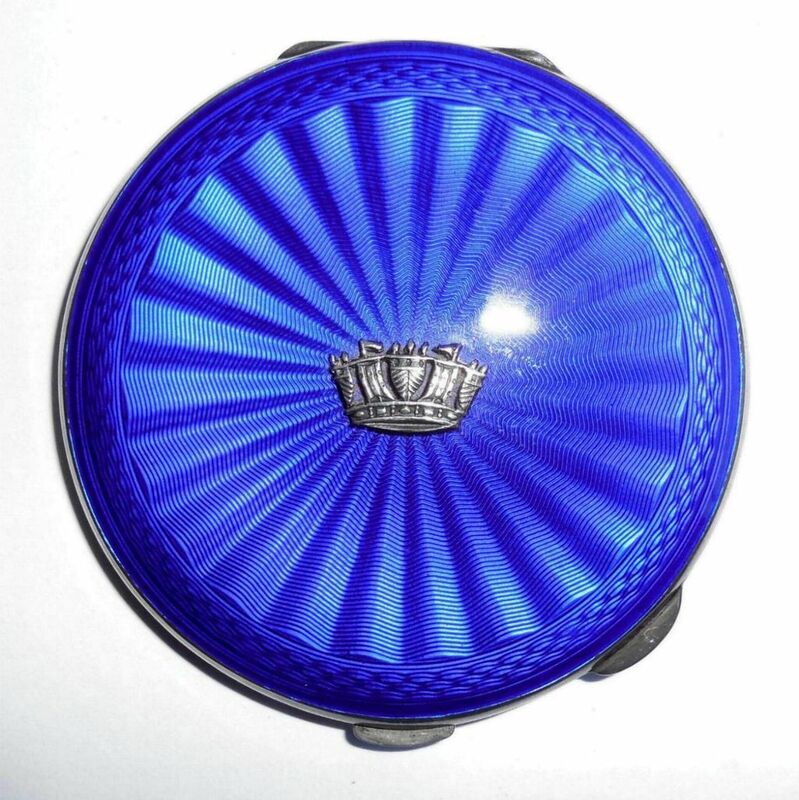 No dents or dings or repair. 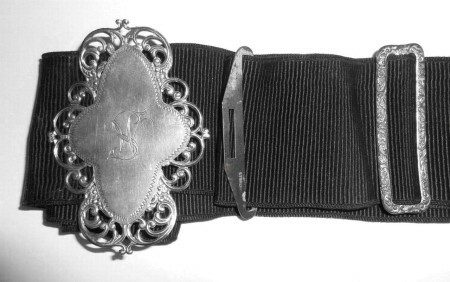 Size of the buckle alone is just about 3″ tall North to South by 2″ wide across East to West. 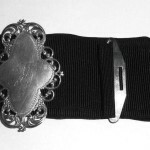 The cloth sash is 30″ long by 2″ wide. 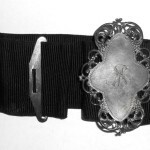 The cloth and the buckle together measure 31 3/4″ long. 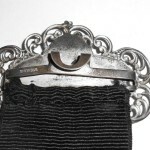 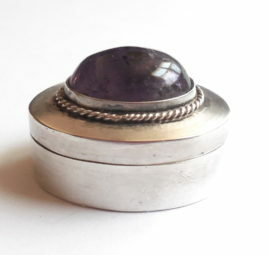 This is a lovely original estate find with a large fancy sterling buckle for your antique Victorian collection.